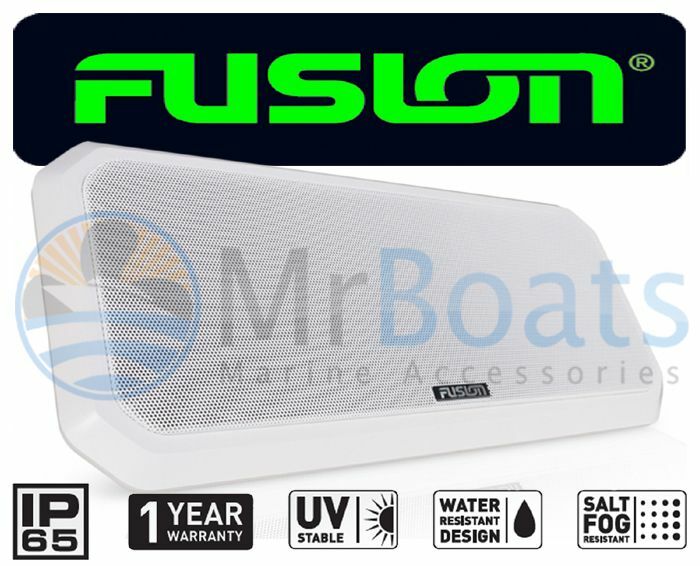 Introducing the new FUSION Sound-Panel, a revolutionary new speaker system made for boating enthusiasts and the diverse needs of different vessels. 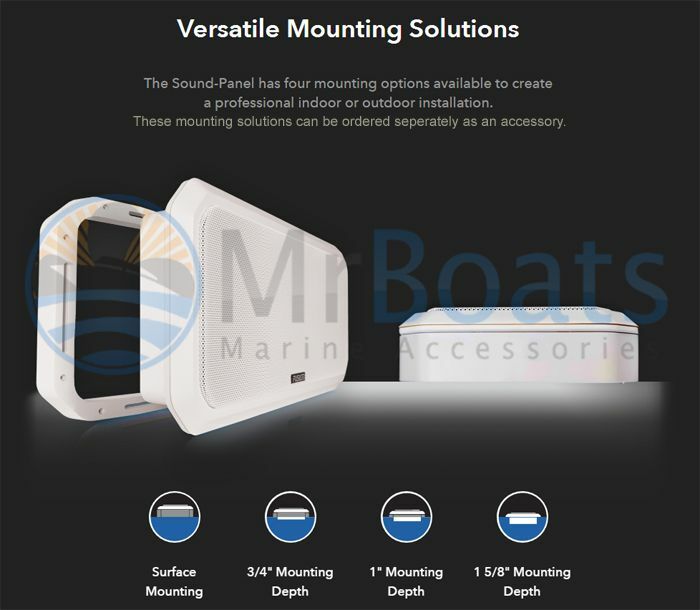 The Sound-Panel solves the age-old problem of delivering professional sound quality from the limitations of shallow mounting depths often required in many installations. The Sound-Panel boasts two silk dome tweeters, two custom 4" speaker drivers and a bass radiator, all perfectly tuned to the Sound-Panel enclosure. 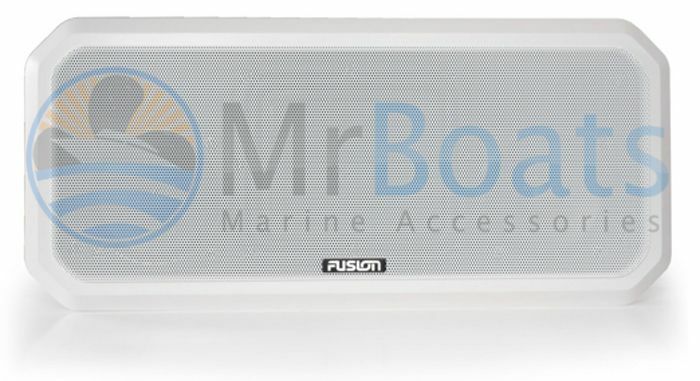 Together this delivers 200 Watts of powerful and high quality audio to your vessel. 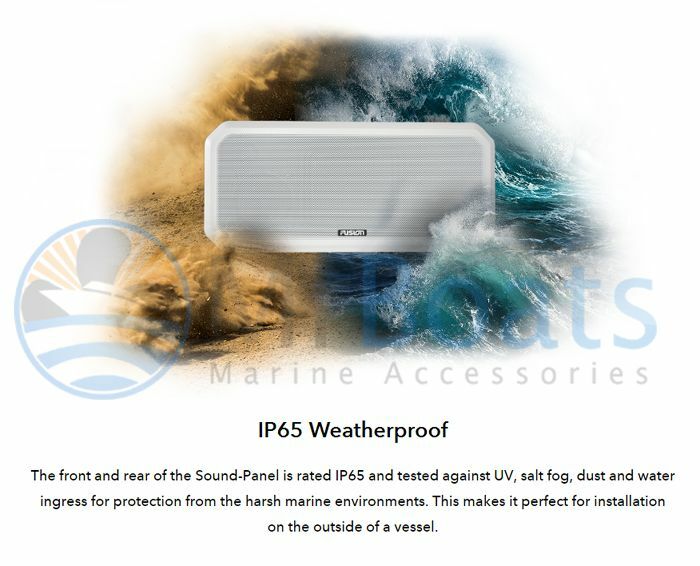 The Sound-Panel is rated IP65 for protection in the harsh marine environment from the front and rear of the enclosure. 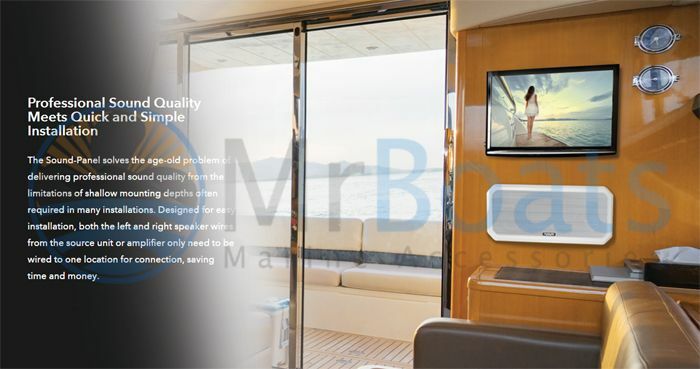 Making it perfect for installation on the outside or inside of a boat. FLUSH – With only a 41mm required depth the RV-FS402W will fit flush in most locations. 19MM WALL DEPTHS – With new technology available in construction the RV-FS402W can be semi mounted into the cavity by using the 22mm spacer. 25MM WALL DEPTHS – By using the 16mm spacer the RV-FS402W will semi mount into normal construction panels. SURFACE MOUNT – Installs directly onto any flat surface with no cut out required. Tosurface mount you'd need to purchase 1 of the additional 3 size mounts as an accessory. QUICK AND SIMPLE INSTALLATION – The RV-FS402W is designed for easy installation, saving time and money. 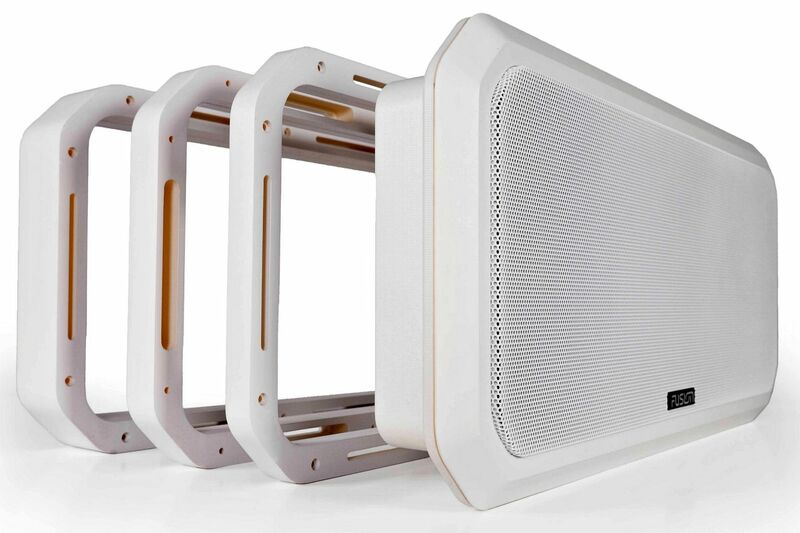 The Sound-Panel incorporates a pair of speakers, tweeters and passive radiator. Both the left and right speaker wires from the source unit or amplifier only need to be routed to one location for connection. Only a single cut out is required. STAINLESS HARDWARE – Stainless steel mounting hardware is included with the RV-FS402W. This limits corrosion and tea staining and keeps the RV-FS402W looking great season after season. The RV-FS402W is an all inclusive solution. The sealed design protects all drivers and components from being damaged if mounted in cupboards or cavities or outside exposed to the elements.